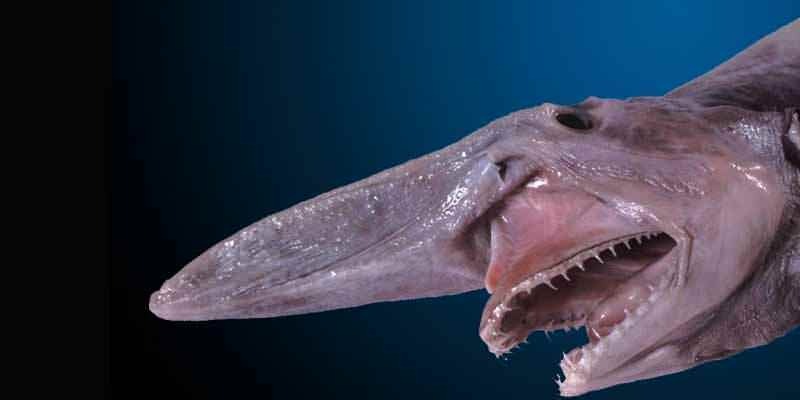 Goblin sharks get their name from, well, looking pretty ghastly. The deep sea animal uses its ugly appearance to its advantage, sensing prey with its snout and stabbing its catch with its thin, sharp teeth. The teeth are nowhere near big enough to eat a human, so if you’re diving deep enough to encounter these sharks, they are the least of your concerns.